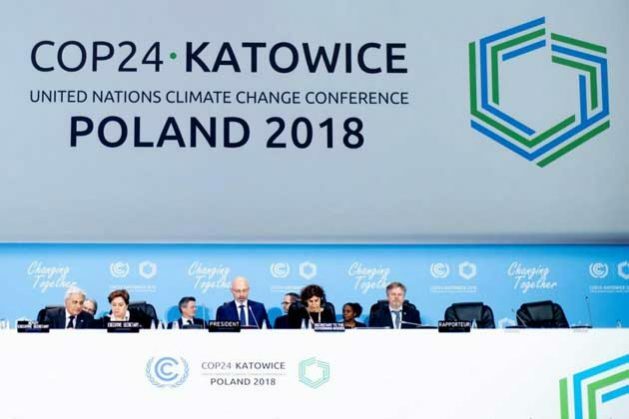 Dec 20 2018 - The Conference of the Parties 24 (COP24) of the UN Framework Convention on Climate Change (UNFCCC) has ended on December 15, with the usual extension of more than a day to complete the deliberations. Almost 25,000 delegates from the government, non-government, private sector and faith community attended the meeting, which was mandated to adopt the Rulebook for implementation of the Paris Agreement (PA). Analysis of the event is forthcoming yet, but based on my experience as a member of the Bangladesh delegation, I regard the ultimate outcome as not satisfactory, almost frustrating, but way better than the “Brokenhagen” of 2009. The most rancorous elements that appeared at the meeting are: recognition of the science of climate change as presented by the IPCC 1.5C Special Report; urgency of ramping up the mitigation ambition to match the call of science; fixing the share/levy of emissions trading transferable to a yet-to-be structured mechanism, replacing the Clean Development Mechanism under the soon-to-die Kyoto Protocol; the issues of climate finance (CF); and the agenda of Loss & Damage (L&D). Some elements have been agreed upon: that all countries will have to report their emissions and show progress in cutting every two years from 2024, after the global stock-taking at COP29 in 2023. The contestations cantered particularly on two issues: how to recognise the latest IPCC Report, which entails how clearly countries should signal the need for greater mitigation to stay below the temperature limit of 1.5 degrees, the aspirational goal set under the PA. The agreed text just hints, instead of using strong language, at the need for more ambitious emission reduction pledges before 2020, which frustrates the most vulnerable countries, UN organisations and NGO activists. With tensions mounting, the UN Secretary-General Guterres had to visit the meeting several times to plead for progress. Despite settling on some parts of the Paris Rulebook, countries failed to agree on substantive issues, such as defining the ex-ante and ex-post provision of information on CF. Actually, CF continues to be one of the most rancorous issues in all COPs, since 2015 when developed countries pledged to deliver USD 100 billion a year from 2020. Even before COP24, the rules governing CF reporting under Article 9 of the PA were expected to be direly contentious. The rules cover Article 9.5 of the PA (reporting on the projected availability of CF in future), and Article 9.7 (reporting on money already delivered). The agreed text now says developed countries “shall” and developing countries “should” report on any CF they provide, but the sought-after criteria-based common reporting format could not be agreed. But in absence of an agreed understanding of what CF is, countries have wiggle room for creative accounting. This was starkly evident again at COP24. The decision language under both parts of Article 9 is relatively permissive, which allows countries to report the full value of loans, rather than the “grant equivalent” share as CF. Another persistent issue is the “double/triple” counting of the same money, provided through all the Rio conventions or different delivery channels. The fixing of accounting methodologies subjectively by finance providers does not allow any comparability among them. An additional prick in CF is its extreme fragmentation in delivery, with channels both public and private ranging from 99 to over 500 including over 22 multilateral CF funds. There are too many overlaps involving huge transaction costs, generating frustrations both at delivery and receiving ends. This warrants a “thinning out” of weedy tendrils of CF bureaucracies, which often clog the money to reach the target communities. So, one good decision at COP24 was the organising of a workshop next year on “effectiveness” of CF to measure its impacts at the ground. The Bangladesh delegation strongly pushed for this. Just weeks before the meeting in Katowice, the OECD published a report on CF, which shows that in 2017 their members have provided USD 56.7 billion as CF to developing countries, but it did not specify the methodologies of reaching this number. We may recall the episode of 2015 in Paris when an OECD representative in a session on long-term finance mentioned that in 2014 they provided USD 62 billion as CF, the Indian delegate, based on their analysis, responded that only USD 2.2 billion could be regarded as credible CF. This Himalayan gulf in numbers of claimed CF delivery and actual receipt shows no sign of bridging yet. Another interesting facet is that though grants account for over a third of bilateral CF, it is a measly 10 percent of multilateral funding. But the most vulnerable countries’ persistent demand has been to have grants as CF mainly to enhance their adaptive capacity. Also the adaptation finance remains at one-fifth of total CF, though the pledge has been to maintain a balance in support between mitigation and adaptation. What is more frustrating is that the long-agreed principles of CF under the UNFCCC, such as “new and additional” CF has been totally diluted, with no signs of resuscitation. However, amidst the clouds shrouding the canvas of CF, there is some money flowing in to the Adaptation Fund, to the tune of USD 129 million, and some new pledges of replenishment to the Green Climate Fund, where Germany pledged an amount of USD 1.5 billion, followed by countries like France, Japan, Norway, Sweden, UK and others. It is expected that the EU will lead to fill the gap left by the US-declared withdrawal from the PA. Finally, the Bangladesh delegation, I must say, fared well in the negotiations in the streams of Adaptation, Mitigation, CF, and Loss and Damage. In the future, it has the potential of doing a lot better, given that more rigorous homework is done before the meetings. This warrants analytical deliberations well before each meeting to generate novel ideas for consensus-building among like-minded alliances. As climate negotiations now stand as the number one global public diplomacy issue involving all countries and thousands of diverse stakeholders, our government is expected to put greater efforts in capacity building of the negotiators, particularly young ones, to carry our flag aloft in the most visible and most widely-publicised diplomatic forum. Mizan Khan is professor, Environmental Management, North South University, and currently, visiting professor, School of Public Policy, University of Maryland, College Park, USA.